This is one your kids can play with. Nine figures 6" tall and a creche. Use 2 " plumbers washers on bottom of dolls, so they can stand with ease. 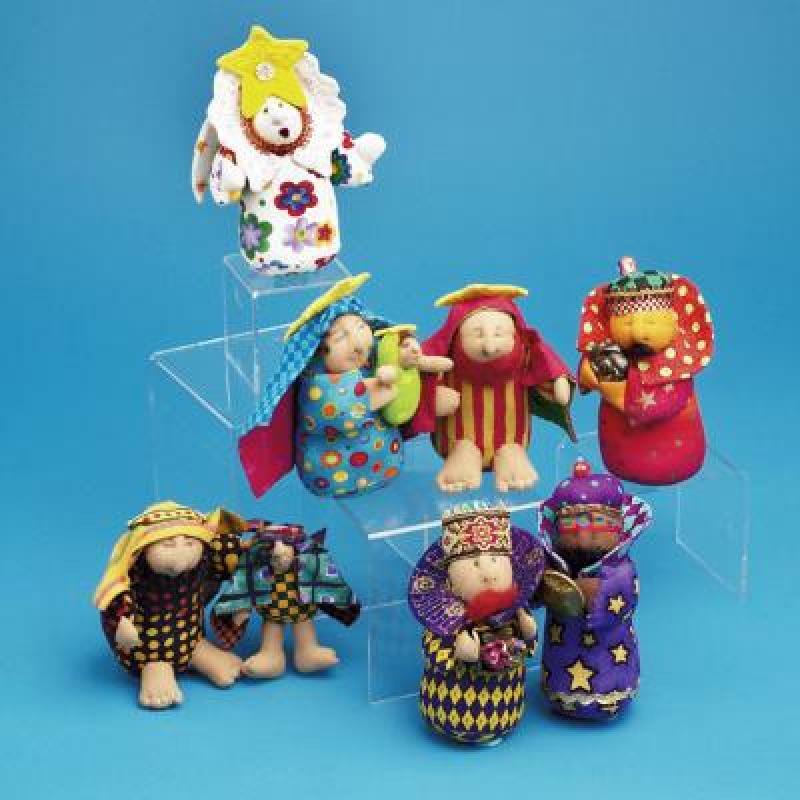 The display creche folds flat for easy storing. Intermediate skill level.